What are Real Estate Brokers and What Do They Do? assist buyers and/or sellers in completing forms and documents. 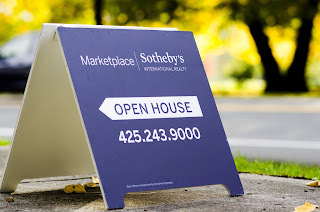 Real estate brokers are in charge of advertising properties, preparing property fliers and assessing properties. They may also give advice on how to increase a property’s value. What Skills and Abilities Do Real Estate Brokers Need to Have? The ability to have a flexible schedule and the use of a personal vehicle is necessary when becoming a real estate broker. Good communication skills are necessary, as well as good sales skills. Knowledge of basic office equipment and technology is needed. Knowledge of real estate laws should be possessed. Good written and verbal skills are also needed. How Much Do Real Estate Brokers Make? According to statistics, real estate brokers earned an average annual income of $75,910 in May 2017. In May 2011, the average annual income was $79,340 in May 2016, according to statistics. What’s in Store For Real Estate Brokers? Statistics show that between 2016 and 2026, an increase of 4.9 percent in employment was projected for real estate brokers. How Many Real Estate Brokers are Self-Employed? According to statistics, self-employed real estate brokers reached 56 percent in 2016. What Training or Experience Do Real Estate Brokers Need? You’ll most likely need between one and five years of experience for this line of work. Normally agents, brokers and salespeople in real estate need to complete state approved training through a course provider, as well as pass a state test to be licensed.